Everyone has different preference. I usually use dial auxilaries for all my games. Not this one. I make a small circle with my mouse then it let's me easily select the item. 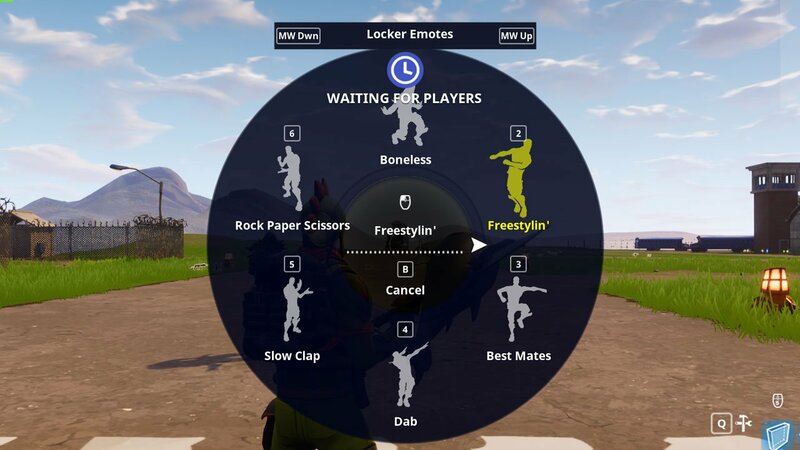 If you struggle with this just add turn assist to your hip movement and hold it while you are holding the grenade, heal, or spot key. 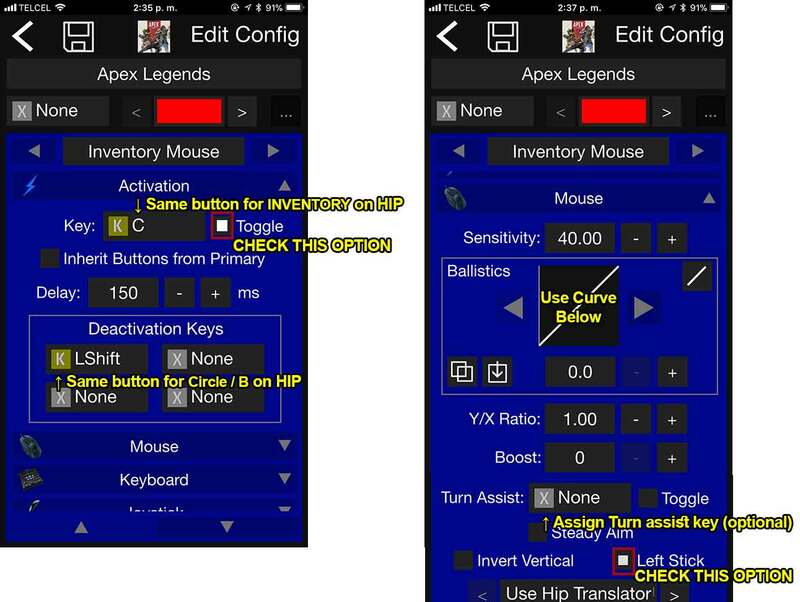 What I like is using a cursor auxilary that swaps sticks/ allows mouse movement/ click for selection/ mouse wheel to scroll when I open inventory/looting. I can also use this for character selection and the menu. I also make a map auxilary that is similar to my cursor aux. What are your Auxilary set ups if you don't mind my asking? This. 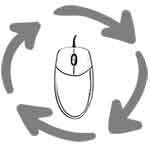 Drag the mouse out a little bit and use a circular motion to select, works every time. The only time it's troublesome is selecting from the ping wheel since there are more options requiring more precision. Thanks Alan. 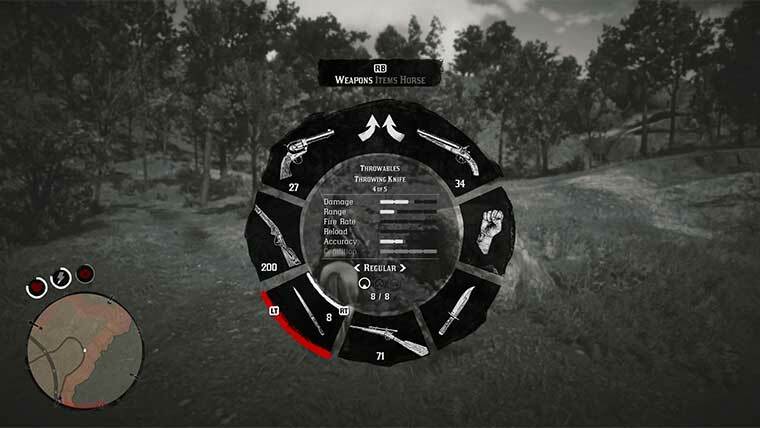 I really enjoyed your RDR2 dial setting, also thanks to this tutorial. But using this setting I found a small problem. I’m using sony nav, so analog setting. But when I’m running and suddenly press the key for ping, my aim quickly moves to up top. I think it’s because I’m pushing sony nav stick to front and same time I press the key for ping, so my nav input is interpreted to right stick movement. Sure, when I completely stop and press the key for ping (or health....), then it is all OK. But this is fast-paced game. So sometimes I have to press ping button or health button when I’m moving or strafing to left-right. So how can I solve this problem? 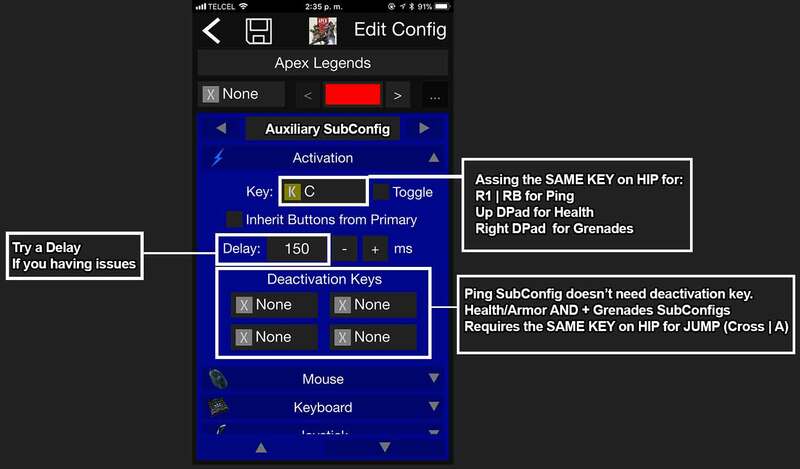 For looting you can create a SubConfig, use the mouse to move the cursor follow the directions. Your Loot Activation key should be the a secondary RELOAD bind on HIP. So for reloading you use the primary reload bind, for looting your secondary reload bind so you enter to Loot Subconfig. 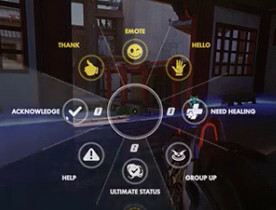 Hi!, some games incorporate a dial menu to make commands or select different items. The Division, and many more. 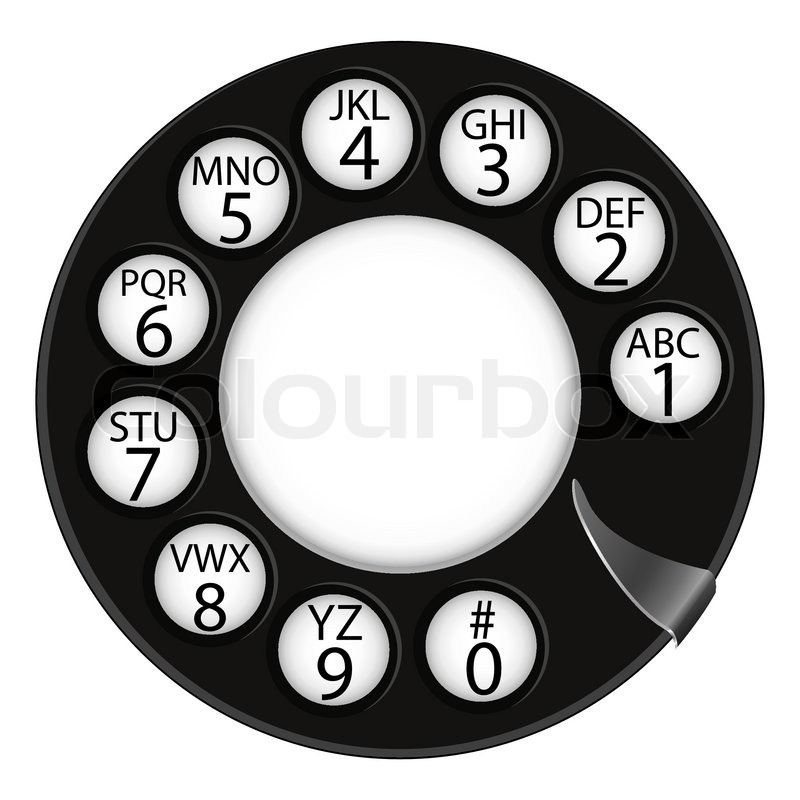 This type of "dials controls" are meant to make a selection using an analog-stick, not a mouse. Method 1. 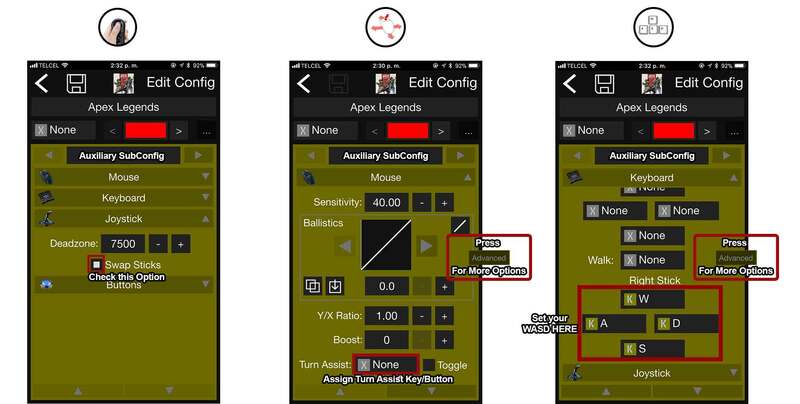 Using an Analog stick, allows to swap to the Nav analog stick to make the selection. Method 2. Using turn assist, this increase all your mouse movements, while the turn assist button is held down. Method 3. Uses the WASD keys, this is useful on menus up to 8 possible slices, because WASD allows 8 directions only. Or possibly you wouldn't recommend this because the setting wasn't trained for this? I am just trying to find the ideal way to get little aim assist as the turn cap doesn't allow me to play properly without it. Thanks! I swear I got the inventory thing to work (sometimes strange when I press inventory (f) it started to walk with the mouse instead of going to inventory but now........ Now I can't even have the F as activation key. What the hell is going on?? EDIT: I tried G as inventory, sometimes it works with the mouse, sometimes not. Anyone know why?